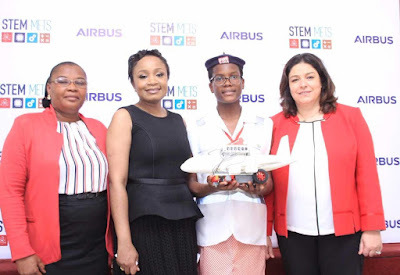 To celebrate this milestone the partners invited distinguished guests to attend the Airbus Little Engineer A380 workshop organised for 30 students at the Methodist Girls’ High School in Lagos. The four-hour A380 workshop saw students aged between 13-15 years focusing on identifying various aircraft parts and enhancing understanding of both the manufacturing and assembling processes of the world’s largest passenger aircraft. The students also got an opportunity to build an A380 scale model from scratch – from initial programing to understanding full take-off functionality of the aircraft. 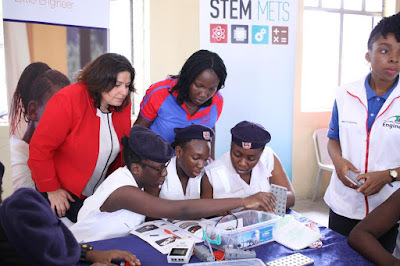 Jadesola Adedeji, Founder of STEM METS Resources said: “We are very proud of our partnership with the Airbus Foundation, the Airbus Little Engineer program is such a unique learning opportunity. These popular workshops are designed to channel students’ potential, encouraging them to use science, technology, and mathematics in an exciting and engaging, team work approach. It is also a great pride an achievement for me as a Nigerian. We want nothing more than for children in Nigeria to have access to innovative and alternative means of learning using and also creating an environment where STEM education will be embraced and enhanced in our society. Africa has the fastest-growing and most youthful population in the world, furthermore the continent has developed an ‘innovation’ culture that is growing fast with many social entrepreneurs, local non-profit organizations and the Airbus Foundation wants to support and work with them. It is important that all stakeholders join efforts to facilitate access to STEM skills as the youth will be the driving force behind sustainable growth across the continent. Since its launch in 2012, the Airbus Little Engineer programme successfully positioned itself as an effective vehicle for discovery-based learning, working to enlighten and empower youth in the areas of science and technology through robotics and aerospace. As of now, the programme has reached over 4,000 students.